Ally Stutzer currently supports all strand leads in the Professional Learning Department. She thrives at planning large events, enjoys managing social media accounts, and looks forward to the continuous process of developing the departments website and marketing plan. Before working at Northwest Regional Education Service District, she was a Camp Director at Tualatin Hills Park and Recreation District. In her role she created curriculum for summer camps, monitored budget revenue/expenses, supervised the work of camp counselors, and created all branding materials. In her spare time, she enjoys bowling, going to the movies, and spending time with friends. Ally looks forward to continue using her skills and abilities to support the work being done within the Professional Learning Department. Daniel Ramirez was a middle and high school teacher for fourteen years in Miami, Washington D.C., Springfield, Oregon, and Portland, Oregon. His teaching focused on project-based learning, social justice in mathematics and science, and creating strong relationships with students and communities. Before transitioning to Northwest Regional Education Service District, he served as an instructional coach for mathematics at a comprehensive high school. He received his Ph.D. in Critical and SocioCultural studies in Education from the University of Oregon with a focus on the stories of mathematics educators in urban, diverse high schools and how we might better understand equitable, inclusive instruction in mathematics education. At the ESD, Daniel has focused on the intersection of culturally sustaining pedagogy, deeper learning, and continuous improvement as a way to re-imagine professional learning for educators. Daniel is also a Deeper Learning Equity Fellow and a lead mentor for the third Deeper Learning Equity Fellow cohort. Erin Lolich leads the Professional Learning Team at the Northwest Regional Education Service District. In August 2017, the team launched the NWRESD Professional Learning Network to support teachers across our region. Erin started her career teaching special education and literacy in Colorado and Oregon. 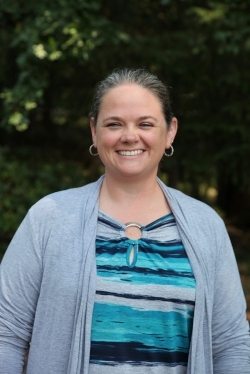 Before joining NWRESD, she worked at Education Northwest coaching teachers in Montana and Wyoming, facilitating Oregon’s Early Learning Guidelines workgroup, and conducting professional development in equity through the Oregon Leadership Network and Equity Assistance Center. As the director of the Oregon Response to Intervention Project, she provided professional development to districts across Oregon and beyond. As a district administrator, she oversaw curriculum adoption, federal programs, assessment, and professional development for teachers, administrators, and school board members. Erin holds a B.Ed. in Elementary and Special Education from Gonzaga University and an M.S. in Educational Administration from Portland State University. As a post-graduate, she attended Lewis and Clark College to study equity and educational leadership. Kendra Hughes serves as the Lead for the Early Learning strand within the Professional Learning Network. She has nearly 30 years’ experience as a training and technical assistance provider and facilitator. She is a motivating trainer with expertise working across the United States and Pacific Islands. With an energetic and engaging attitude, she helps people and agencies create client and student focused systems with intention. Emphasizing core values, vision, and mindfulness, Kendra guides individuals through a process of examination and reflection to inspire change. Her expertise in birth to 20 school and child care settings, equity, social justice, civil rights compliance and sheltered instruction, has helped schools and social service agencies create an inclusive culture where educators, students, families, parents, and community members can connect and be involved in the process of change in a meaningful way. Ms. Hughes has a deep understanding of how people can make fundamental, positive changes in their outlooks and lives. As a change agent, she strives to cause a shift in how one thinks and initiate transformation within one’s self and across systems. She builds relationships, utilizes meaning and relevance, and is energized by seeing people achieve success and find meaning in their workplace and life. Hughes holds a Bachelor of Arts in Human Services from the University of Oregon, Eugene, OR and a Master of Education with an emphasis in Administrative Leadership from Concordia University, Portland, OR. Kimberley Ednie is a professional learning specialist at the Northwest Regional Education Service District. She has spent her career working across educational contexts to advance educational equity, including in non-profit, government, higher education, and K12 public systems. Her central focus has been leading and supporting teams to design and implement innovative and inclusive solutions to increase educational opportunities for young people and their families. She has served as an adjunct writing instructor at Hunter College and as a reading/writing instructor in Queens, working with first generation college and English language learners. She also served as the first managing director of programs at iMentor, where she developed a program to address the entrenched challenge of limited college access for public high school students. Following iMentor, Kimberley worked on the rollout of the Common Core State Standards as part of a team in the central office of the New York City Department of Education. After receiving her doctorate in education leadership at Harvard, Kimberley served as the Director of Talent at BPE, a Boston-based nonprofit that runs the Boston Teacher Residency. There, she led adult learning and organizational development initiatives and oversaw talent recruitment and selection for new hires of BPE’s two schools and teacher residency, ensuring a rigorous and equitable process focused on increasing diversity. Additionally, she supported the senior leadership team to concretize beliefs and practices about teaching and learning in BPE’s first secondary school, a turnaround Boston Public School. Laura Kanter Fellows spent her early career co-founding Success Academies, a network of public schools in NYC, and then went on to earn her doctorate in Education Leadership. Laura’s work in education has centered on supporting adults within the system to innovate and organize, ensuring that students— particularly the most marginalized students—receive needed support for key transitions into, and throughout, high school and beyond. She served as the Director of Post-Secondary Pathways at the Northwest Regional Education Service District, and in the past year shifted roles to focus on 9th Grade Success work for the Northwest region. She loves coaching teams to make systems-level and strengths-based moves for students. Laura spends her free time dancing, drawing and laughing with her toddler, traveling when possible, and seeking delicious cheap eats. Renae Iversen started her career as a teacher out on the Montana prairie in a one-room country school. From there, she transitioned to Las Vegas, one of the largest school districts in the U.S. The impressive breadth and depth of her career includes 13.5 years of teaching in rural, suburban and urban settings in K-8 with assignments in both general education and special education. One especially busy year, she served as a dean of students and assistant athletic director at the middle school while also teaching 4-5 grade special education. More recently, Renae served as a Teacher on Special Assignment (TOSA) mentoring beginning teachers in the Hillsboro School District. Renae holds a Bachelors of Science in Elementary & Special Education with a minor in Spanish and a Masters of Science in Curriculum & Instruction with an emphasis on literacy--both from Black Hills State University. She completed a post-graduate program in Educational Leadership at Portland State University. Throughout her career, Renae has remained focused on emphasizing the assets of students and families to create high-quality learning experiences which foster a culture and climate where kids can thrive. In her current capacity as the leader of NWRESD’s School Culture and Climate Network, she facilitates deeper learning experiences for school teams (educators, administrators, students) which focus on strengthening asset-based language and culturally sustaining pedagogies to better serve the students and families in our region. Renae’s network is focused on improving the culture and climate of our region’s schools by maintaining a user-centered approach while using the principles of Improvement Science and elements of Design Thinking to guide the teams’ learning. Wylie Wan is an Education Research and Data Specialist at the Northwest Regional Education Service District. She works with coaches, teachers, and administrators to make informed decisions in their instructional practices based on research and data. Wylie has an extensive academic research background and has taught college-level courses. She applies longitudinal data analysis and systems thinking in her work with the Professional Learning Team. She enjoys engaging in productive conversations that contribute toward equitable inclusion and actively seeks to learn from the people she meets. She is passionate about sharing evidence-based knowledge with educators and communities to build relationships and help improve education. 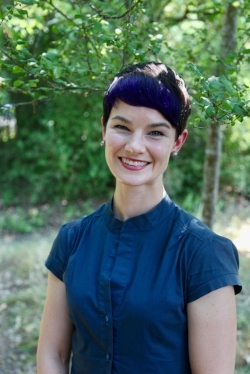 Wylie completed her Ph.D. in Developmental Psychology at the University of Michigan and her postdoctoral work at Oregon Health & Science University.